As long as democracy has existed, there have been democracy skeptics—from Plato warning of mass rule to contemporary critics claiming authoritarian regimes can fast-track economic programs. But a new study co-authored by an MIT economist shows that when it comes to growth, democracy significantly increases development. Indeed, countries switching to democratic rule experience a 20 percent increase in GDP over a 25-year period, compared to what would have happened had they remained authoritarian states, the researchers report. "I don't find it surprising that it should be a big effect, because this is a big event, and nondemocracies, dictatorships, are messed up in many dimensions," says Daron Acemoglu, an MIT economist and co-author of the new paper about the study. The paper, "Democracy Does Cause Growth," is published this month in the Journal of Political Economy. The co-authors are Acemoglu, who is the Elizabeth and James Killian Professor of Economics at MIT; Suresh Naidu, an associate professor of economics and international and public affairs at Columbia University; Pascual Restrepo, an assistant professor of economics at Boston University; and James Robinson, a political scientist and economist at the Harris School of Public Policy of the University of Chicago. 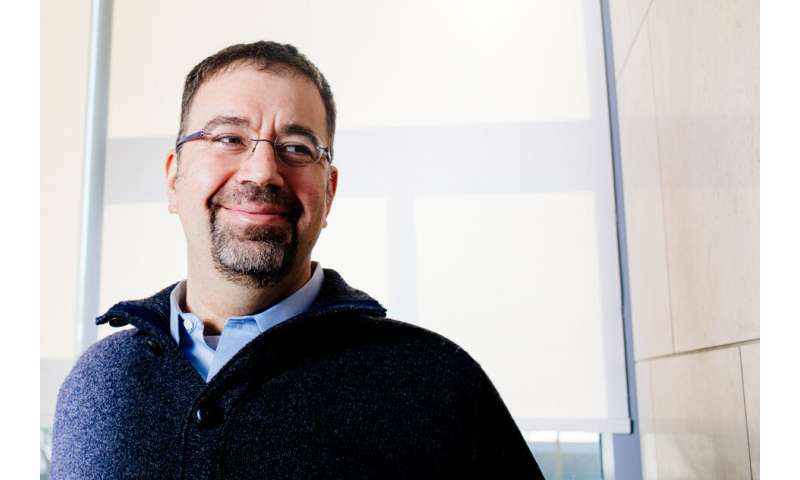 Acemoglu and Robinson have worked together for nearly two decades on research involving the interplay of institutions, political systems, and economic growth. The current paper is one product of that research program. Instead, Acemoglu and his colleagues aimed to "ask more squarely the counterfactual question" of how a country would have done with another form of government. To properly address that, he adds, "The obvious thing to do is focus on switchers"—that is, the countries changing from one mode of government to another. By closely tracking the growth trajectories of national economies in those circumstances, the researchers arrived at their conclusion. They also found that countries that have democratized within the last 60 years have generally done so not at random moments, but at times of economic distress. That sheds light on the growth trajectories of democracies: They start off slowly while trying to rebound from economic misery. "Dictatorships collapse when they're having economic problems," Acemoglu says. "But now think about what that implies. It implies that you have a deep recession just before democratization, and you're still going to have low GDP per capita for several years thereafter, because you're trying to recover from this deep dive. So you're going to see several years of low GDP during democracy." When that larger history is accounted for, Acemoglu says, "What we find is that [economies of democracies] slowly start picking up. So, in five or six years' time they're not appreciably richer than nondemocracies, but in a 10-to-15-year time horizon they become a little bit richer, and then by the end of 25 years, they are about 20 percent richer." "Democracies … do a lot of things with their money, but two we can see are very robust are health and education," Acemoglu says. The empirical data about those trends appear in a 2014 paper by the same four authors, "Democracy, Redistribution, and Inequality." "That's what's remarkable about this result, by the way," says Acemoglu. "There are some real basket-case democracies in our sample. … But despite that, I would say, the result is there." And despite the apparently sunny results of the paper, Acemoglu warns that there are no guarantees regarding a country's political future. Democratic reforms do not help everyone in a society, and some people may prefer to let democracy wither for their own financial or political gain. "It is possible to see this paper as an optimistic, good-news story [in which democracy] is a win-win," says Acemoglu. "My reading is not a good-news story. … This paper is making the case that democracy is good for economic growth, but that doesn't make it easy to sustain." In the study's sample of countries, Acemoglu adds, "We have almost twice as many democratizations as reversals of democracy, but the last 10 years, that number's going the other way around. So democracy doesn't have a walk in the park. It's important to understand what democracy's benefits are and where its fault lines are. I see this as part of that effort."